In May, the two Collaborative Research Centres, SFB-TR 87 "Pulsed high-power plasmas for the synthesis of nanostructured functional layers" and SFB 1120 "Precision manufacturing by controlling melt dynamics and solidification in production processes", both received approval from the German Research Foundation (DFG) for a third phase of funding. The Institute of Plastics Processing (IKV) is involved in both collaborative research centres and is carrying out several sub-projects. Plasma technologies offer enormous potential for packaging and medical products. They give plastic packaging high-barrier properties, avoid the use of silicone oils in medical products and can serve as a substitute for glass materials. 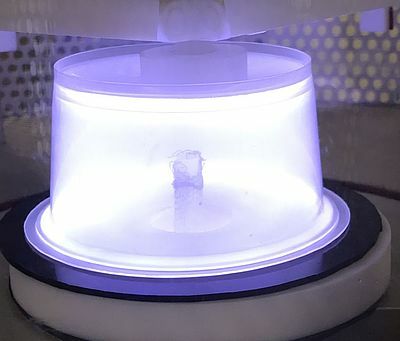 Since 2010, scientists at the Ruhr University of Bochum, RWTH Aachen University and the University of Paderborn have been researching as part of SFB TR 87 "Pulsed high-power plasmas for the synthesis of nanostructured functional layers". The Collaborative Research Centre is funded by the DFG. In 2014, the research team managed to win a further four-year funding period following DFG's inspection process. This second funding period has now come to an end and, because of the attained research results and the many new questions generated, a third period was applied for. To assess whether the SFB-TR 87 deserved further funding, an inspection of the Collaborative Research Centre was made at the University of Bochum in March 2018. IKV entered this inspection round with two projects, B1 and B6. A continuation of sub-project B1, now under the new title "Upscaling and adjustability of plasma and layer system properties", was applied for. This project focuses on the scalability of the processes from the project section B of SFB-TR 87 and its applicability to new applications. The second sub-process B6 entitled "Multi-scale simulations to explain the material transport by plastics with a PECVD coating" was relaunched. In this sub-project, a multi-scale simulation method is to be established to clarify the proportion of the pore-dominated material transport by plastics with PECVD layers and especially to quantify it. In the previously inspected and already approved transfer project "PECVD gas barrier coating of reusable PET bottles", the IKV team, in cooperation with an industry partner, aims to develop suitable coating systems that can resist the cleaning process with caustic soda in the multi-use process. The inspection of the entire Collaborative Research Centre TR 87 once again resulted in an unqualified recommendation by the experts that the funding be continued. On 17 May, the DFG then officially approved further funding. One of the decisive factors was the convincing cooperation between basic research and applied sciences. The inspection of Collaborative Research Centre SFB 1120 "Precision manufacturing by controlling melt dynamics and solidification in production processes" took place in January 2018 at IKV. The experts also evaluated this inspection very positively and further funding has now been approved by the DFG. The aim of SFB 1120 is to evolve a dimension-unrelated characterisation of the processes taking place during melt-based production such as forming, joining, separation, generative manufacturing and coating. The objective is to improve precision by at least one order of magnitude in terms of geometric errors, internal part defects and surface inaccuracies. In the next project phase, the IKV will pursue a total of three sub-projects and one transfer project. In sub-project B1 "Algorithms for designing a temperature control system for injection moulding tools taking into account the local cooling requirements", the team is developing algorithms for the automatic design of cooling channels. In the next funding period, the approaches are to be refined in order to ensure general applicability to any desired parts. Transfer project T1 "Injection-compression moulding of thick-walled plastic optics with needs-oriented mould cooling, taking into account the local cooling requirements" transfers the basic research approaches on thermal mould design from B1 to an application example from plastic optics. 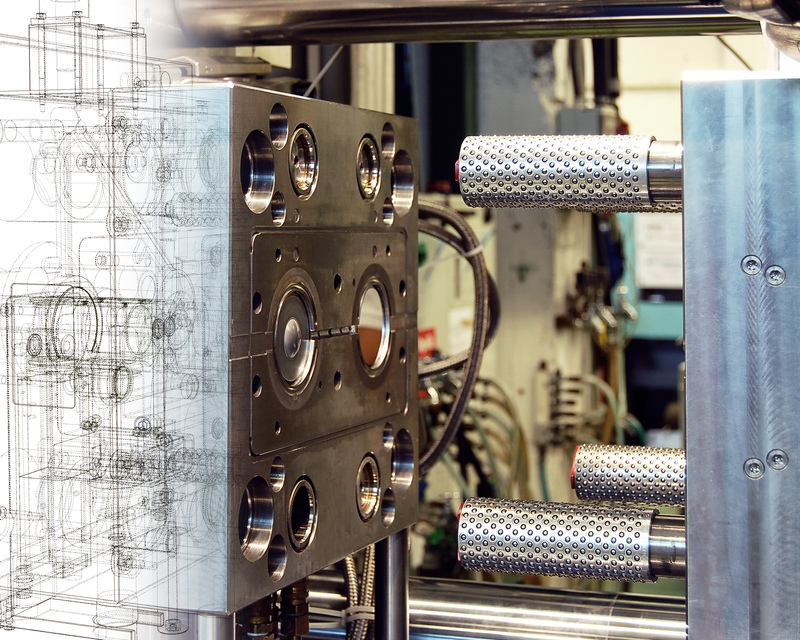 In sub-project B3 "Self-optimising process control strategies to control the temperatures in highly segmented injection moulds", the aim is to design an active process control strategy and thus actively control part precision. Here, in the coming funding period, the scientists want to apply a model extension of the existing control model so that individual cooling zones take into account the influence of their neighbours and actively complement each other. Sub-project B4 "Analysis of the thermal coupling of melt, structure and tool for an accurate prediction of shrinkage and warpage in injection moulding processes" will, in the coming project phase, pursue various approaches aimed at describing the material behaviour more accurately. The material behaviour at high cooling rates is to be determined as are the process-dependent heat transfer coefficients. Further aims of the project are to calculate crystallisation heat and to upscale the results from sample size to part size. IKV is delighted about the decision to go ahead with further funding for both Collaborative Research Centres. The Institute would like to thank the German Research Foundation for its renewed funding and consequently its recognition of the high standard of research at IKV. On the topic of plasma technology, IKV will hold a symposium in Aachen on 6 - 7 June, 2018. Experts from industry and research will talk about the latest developments and trends in plastic research and applications in the industry. There is still time to register.